All About powerlifting > Nutrition > What Supplements Should I Take? Supplements can be confusing business. First – a few key points. Supplements are not pre-regulated, they are post regulated. This means a company doesn’t have to prove that a supplement is safe and effective to sell it, the FDA has to prove it is not safe for it to be banned (and the FDA doesn’t even bother to see if it is effective). The good news is this allows some cutting edge stuff to come out rather quickly without waiting for years of testing; the bad news is a lot of BS stuff comes out that does very little other than empty your wallet. Supplements are generally defined as any vitamin, mineral, herb, botanical extract, or amino acid that isn’t already classified as a drug, or something designed to promote caloric intake in humans. As the name implies it is a supplement so it has be taken in addition to whole food, this is why the Slim Fast commercials always say “a shake for breakfast, a shake for lunch, and then a sensible healthy dinner” – legally they can’t just say “drink 3 shakes a day and that is it to lose weight” because then it isn’t a supplement. The supplement industry is huge and poorly regulated. It is often promoted by those taking more than just supplements (I am talking about steroids in case that wasn’t obvious). One of the big questions becomes who can you trust in this industry? I find the answer to that question, more often than not, is Examine.com. I like them because they are purely researched based, they are not connected to any specific company, and they don’t sell supplements themselves. They essentially grade supplements and then they let you, the consumer, decide what you want to do. 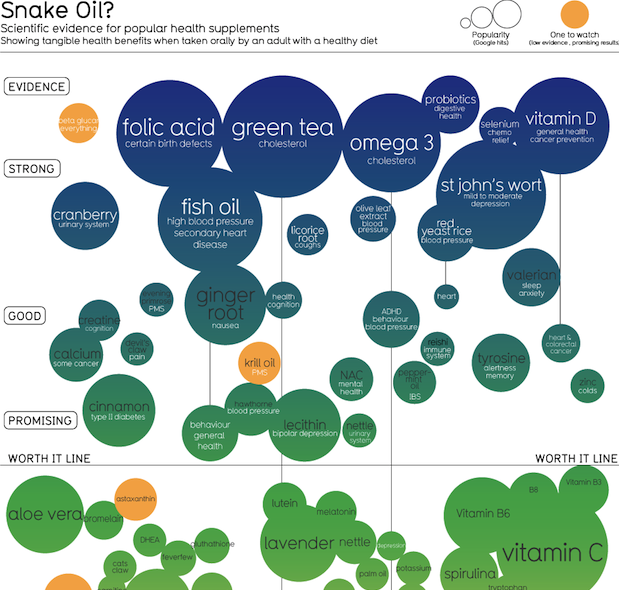 One of the best things about learning about supplements is, in my opinion, figuring out what not to take. If I can take a person’s $200 monthly supplement bill and cut that down to $75 to get the same or better effects, those savings will really add up in the long run. In my mind that is certainly worth a $40 initial investment. 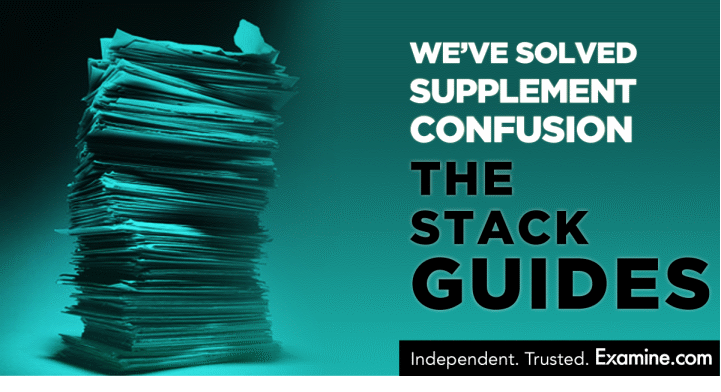 Examine.com has just come out with a new guideline that tells you exactly how to stack your supplements for best results. A stack is when you combine different supplements to maximize their effectiveness. They have taken out all the guess work: you decide on your goal (build muscle, maximal strength, fat loss, etc – there is actually 16 different guides you can choose from) and the manual tells you what to do and what not to waste your money on. Remember they are purely researched based – if the research supports a supplements use, they will include it. If not, they won’t recommend it and they will tell you why. I am an affiliate with Examine because I believe in their business model and what they have to offer and the scientist in me appreciates them just giving you the info without mixing in any salesy stuff. When you, or your friends, teammates, or clients ask you “what supplements should I take?” now you will have the most up to date answer to that question, backed not by ripped abs and lots of hype, but instead backed by pure science. That sounds like a pretty good deal to me. Nice article Tim, in this ultra competitive world everyone looks for the EDGE and many think that its some bottle of pills with a huge guy on it or have a great name like “Insano Workout Monster Pill”. If you look at the word itself Supplement, you don’t need to supplement a healthy diet, maybe a little more protein for people who hold a lot of muscle.. Food in its purest form inside of a well balanced diet is the best for long term health and since I am typing about health, what the heck is in those unregulated products? I have no idea what those chemicals do to a body, nobody does and as you stated and they come in a combinations with other chemicals so their specificity can’t be alienated by the FDA(corrupt politicians who loved the food pyramid) and outlawed.